Ottis Dewey Whitman was born January 20, 1924 in Tampa, Florida. His was a musical family, although in early years it looked more likely that it would be one of Whitman’s sisters (who sang in church) who would gravitate toward professional music. The tall, lanky Whitman was more interested in baseball, and his father, Ottis, Sr. had ideas that his son might be a major league pitcher. 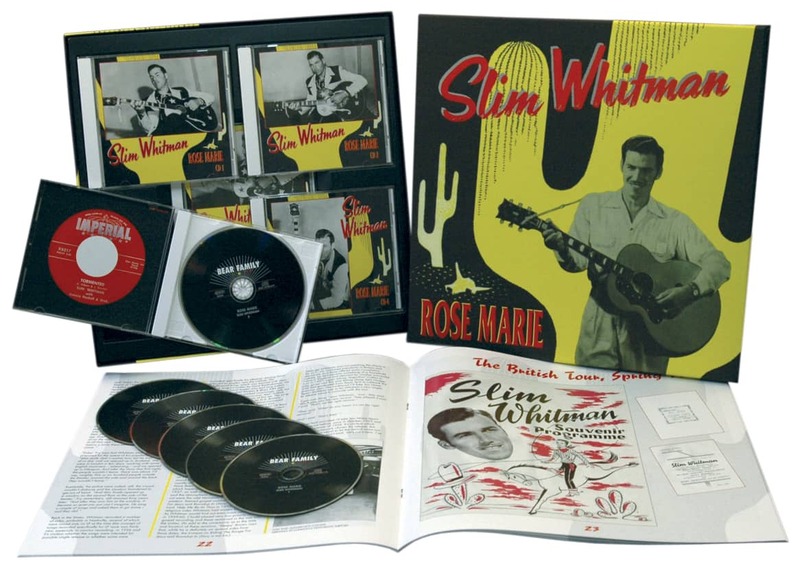 Slim learned to play guitar – left-handed because of an injury to his fretting hand -- and performed for shipmates during his three-year stint in the Navy during the war. On his discharge, he pursued a career in baseball for a time before deciding in 1948, with the enthusiastic support of his wife Jerry, whom he’d married in 1941, to take a stab at a music career. In 1949, Whitman caught the ear of Colonel Tom Parker, then managing Eddy Arnold, who secured the young singer a contract with RCA Victor. 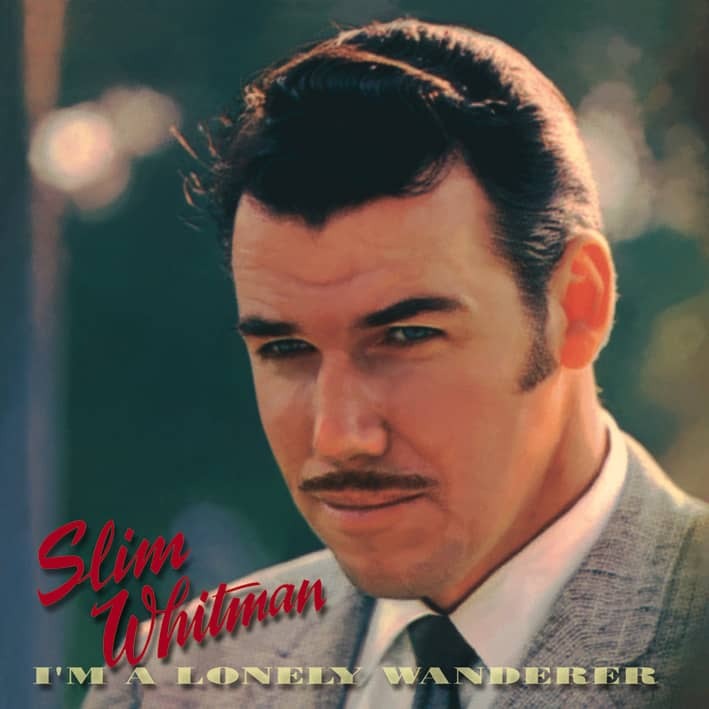 The story has long been told that Whitman was dubbed “Slim” by RCA after he signed with that label in 1949, but a recently uncovered, ultra-rare, limited demo pressing from a few months prior to that proves that he was using the name Slim Whitman before he signed with RCA. At any rate, he recorded ten fascinating but commercially unsuccessful sides with the label over the next year, but was dropped in 1950 and was without a contract when he moved to Shreveport that year to become a regular on the Louisiana Hayride, one of the top weekly country music shows in the nation, a star-breaking rival to Nashville’s famous Grand Ole Opry. Whitman worked as a postman during the day, and worked the Hayride in addition to his own early morning radio show on KWKH. His distinctive, soaring vocals soon made him one of the show’s most popular attractions; his sound was made even more distinctive when he teamed with guitarist Curly Herndon and, more importantly, steel guitarist Hoot Rains, whose ‘arrows’ behind Whitman’s vocals became a trademark. His rendition of Love Song Of The Waterfall, in particular, attracted widespread regional attention and soon Lew Chudd, who headed the growing West Coast-based independent Imperial Records, came calling and snatched the singer up. Chudd could be a difficult man, but Whitman was fortunate to sign with him, because Chudd tended to leave his artists alone to find their own sound, choose their own songs; he’d be even more hands off with Whitman than with most, because Whitman wanted it that way and remained defiantly independent, defiantly his own man. Love Song Of The Waterfall became a hit in the spring of 1952, followed closely by Whitman’s telling revival of Indian Love Call. A string of hits followed, most notably the singer’s versions of two pop songs, Rose Marie and Secret Love. The hits slowed – at least domestically -- with the arrival of rock ‘n’ roll, but Whitman remained a popular artist, particularly overseas. Indeed, in 1956 and 1957 he successfully toured the UK and enjoyed major hits there with Rose Marie and I’ll Take You Home Again Kathleen. By 1960, when this set commences, Whitman had not had a domestic hit since Cattle Call in 1955. He remained a consistent seller for Imperial, more as an LP artist than a singles artist, but as the adult market increasingly gravitated toward the latter format he nevertheless scored a few hit singles during the period covered in this set. 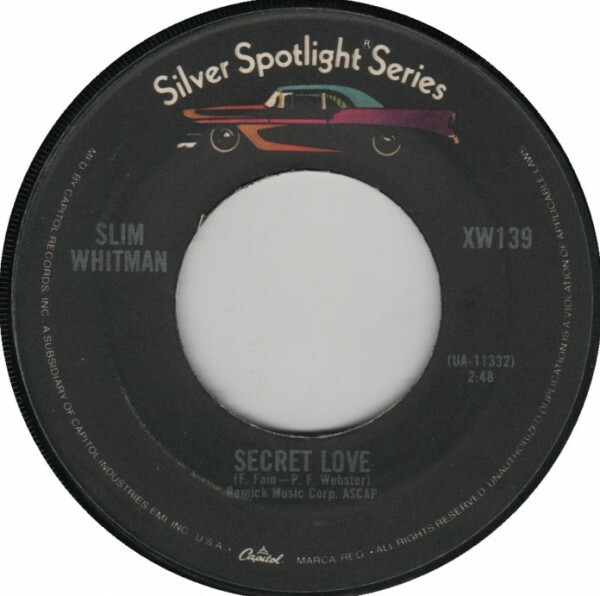 When the recordings that open this set were made in May 1960, Whitman had been recording in Nashville for a half-decade, with a handful of sessions made elsewhere. Although he remained particularly close with Nashville stalwarts Harold and Owen Bradley and he recorded at Owen’s famous Quonset Hut studio, he had not and never would become a part of the scene. He eschewed insider politics and he remained steadfastly his own man, with his own sound. Customer evaluation for "Rose Marie - Secret Love 7inch, 45rpm"